When I graduated from the United States Military Academy in 1982, my future academic and career aspirations were tied to my language studies at West Point – Spanish and Portuguese. When I was an Army Officer at West Point, my wife and I used to make the long ride on Friday afternoons from Fort Hood to the Sixth Street in Austin to hang out with the Portuguese Club at the University of Texas. As a weightlifter from my teenage years, I knew that I had to get my repetitions in order to retain my language skills. In those days my thinking was to get out of the Army and get a degree in Latin American studies, but I got sidetracked along with way with my interest in tax and estate planning. Thirty-four years after my graduation and twenty years after obtaining my law degree and twenty five years into a financial services career, I remembered that I had a law degree and started to practice law. Most lawyers graduate from law school, practice some law and leave the law for something else. In my case, I did something else and came back to the law. In the process of looking for niches in my tax practice with Brazilians looking to move to the United States, I ended up with Brazilians with more immigration questions than tax questions. I dusted off my Portuguese and the rest is history! 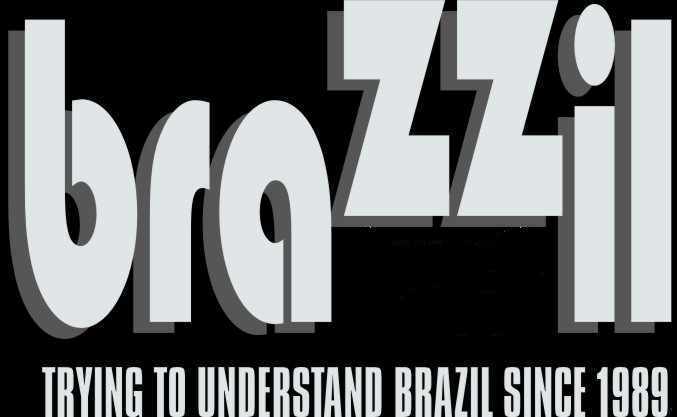 Over the course of the last two years, I have encountered many Brazilians coming to the United States that have been driven out of Brazil by the collapse of Brazil economically, politically and culturally. These Brazilians have considered the political asylum process in the face of great doubt by the Immigration Courts as well as other Brazilians in the United States typically from wealthy backgrounds and European ancestry. The traditional view of Brazil as the country of Sun, Samba, Soccer and Carnaval with the image of Christ the Redeemer Statue as a backdrop, is only part of the story. The other side of the record is pretty ugly! This article is intended to outline some of the country conditions that currently exist in Brazil to support the notion of political asylum in the United States. People who have fled their home country because they fear persecution may seek asylum in the United States. An applicant for asylum in the United States must be physically present within the United States in order to apply for asylum. Persons outside of the United States may apply for refugee status. Applicants for asylum and refugee status must meet the same legal requirements. A “refugee” is a person who is unable or unwilling to avail himself or herself of the protection of that country because of persecution or a well-founded fear of persecution on account of race, religion, nationality, political opinion or membership in a particular social group or has experienced such persecution in the past. The harm does not need to rise to the level of long-term detention or torture. The persecution can be inflicted or threatened by a government or its agents such as the police or army. It is sufficient to demonstrate harm by persons or groups that the government is unable and unwilling to control. Persons who are ineligible for asylum may also qualify for “Withholding of Removal” or protection under the Convention against Torture. These remedies offer a form of protection against being deported to the country where persecution is feared. The asylum process allows for two procedural ways to file for asylum. The affirmative asylum petition is filed with U.S. Citizenship and Immigration Services (USCIS). The defensive asylum petition is filed with immigration court. The applicant in the affirmative process must be physically in the United States and not subject to deportation. The defensive asylum process is adjudicated by an immigration judge when a person is in removal proceedings in immigration court. The applicant in the affirmative process can end up in immigration court when USCIS does not grant their asylum application or after undergoing a Credible Fear Interview with an asylum officer, expressed a fear of returning home at the airport, or port of entry or were charged as deportable for other reasons. The asylum petition functions as a legal defense to deportation. If the immigration judge denies asylum, an appeal may be made to the Board of Immigration Appeals. A denial in this court allows for an appeal to the Federal Circuit Court of Appeals. The benefit of a successful asylum petition is permanent residency (Green Card) for the applicant and family members. Permanent residency leads to citizenship after five years of residency. Withholding of removal as a remedy against deportation, does not provide a pathway to citizenship, but provides a mandatory prohibition against deportation. Convention against Torture (CAT) benefits do not provide a pathway to residency or citizenship but provides employment authorization. Every Brazilian has seen the movie Elite Squad which is the semi-fictional account of the SWAT team in Rio De Janeiro’s Military Police. It was the highest grossing movie in the year that it was released – 2008. The film depicts the intersection of the corruption that exists between politicians, the police and organized crime in Brazil. Most Brazilians that I have spoken to about the film including policemen have indicated that reality in Brazil is worse than the corruption and violence depicted in the film. The statistics from Amnesty International and Human Rights Watch support the notion that reality is far worse than the film. The film won awards when it was first released in 2008. The filmmaker José Padilha received death threats from drug gangs and was immediately sued by the Brazilian Police. The police then tried to sue the former SWAT team members that provided consulting to the filmmakers and actors. The truth apparently hurts and can be bad for business. The Lava Jato investigation was launched in March 2014. The initial focus was black market money dealers who used small businesses such as gas stations and car washes to lauder the profits of crime. After the arrest of the former Petrobras executive Nestor Cerveró, the police realized that the scope of the investigation was far bigger than expected when it noticed that the money dealers were working on behalf of the Petrobras director of refining and supply. This link led prosecutors to uncover a vast and extraordinarily intricate web of corruption. As the investigation continued, it became clear that Petrobras had deliberately overpaid on office construction, drilling rigs, refineries, and exploration vessels. The contractors such as Odebrecht were guaranteed business on excessively lucrative terms if the agreed to channel a share of 1-5 percent of every deal into secret slush funds, the “Superfatura” or Super Invoice”. The investigation uncovered an unprecedented web of corruption. At first, the press described it as the biggest corruption scandal in the history of Brazil; then, as other countries and foreign firms were dragged in, the world. The case has gone on to discover illegal payments of more than US$ 5 billion to company executives and political parties, put billionaires in jail, drag a president into court and cause irreparable damage to the finances and reputations of some of the world’s biggest companies. It also exposed a culture of systemic graft in Brazilian politics, and provoked a backlash from the establishment fierce enough to bring down one government and leave another on the brink of collapse. The large Brazilian construction company Odebrecht paid politicians US$ 3.3 billion in bribes. The company’s CEO Marcelo Odebrecht is currently serving an eighteen-year sentence. Seventy-six Odebrecht employees have been prosecuted and plea bargained to lesser sentences in exchange for their cooperation. After diverting millions of dollars into those funds, Petrobras directors then used the funds to funnel money to the politicians who had appointed them in the first place, and to the political parties they represented. The main objective of the racket – which fleeced taxpayers and shareholders out of billions of dollars – was to fund election campaigns to keep the governing coalition in power. But it wasn’t just politicians who benefited. Everyone connected to the deals received a bribe, in cash, or sometimes in the form of luxury cars, expensive art works, Rolex watches, US$ 3,000 bottles of wine, yachts and helicopters. Huge sums were deposited in Swiss bank accounts, or laundered via overseas property deals or smaller companies. The means of transfer were deliberately complicated, in order to hide the money’s origins, or low-tech, to keep it off the books. Currently, the current Brazilian President and the four living former Brazilian presidents have been under investigation for corruption. The former President Luis Inácio Lula da Silva was recently convicted on corruption charges and sentenced to nine and a half years in prison. Fourteen members of the Presidential cabinet are under investigation for corruption. The leaders of the House and Senate in the Brazilian Congress are under investigation for corruption. Approximately one-third of the members of the Congress – House and Senate- are under investigation for corruption. This investigation only represents one scandal and has yet to consider extending the investigation to the state and municipal level. On some level, the current corruption is not unlike the Clean Hands scandal of Italy in the 1990s which had one-half of the parliament under indictment and up to 5,000 politicians on corruption charges. Some journalists have called Lava Jato the largest corruption scandal of all time. To some extent, the Brazilian federal government can be viewed as an organized crime family based on the level of corruption within it. It is difficult to imagine what the reaction would be like if the United States had this degree of corruption. Perhaps, a civil war or as in many countries of the Third World, a military coup. Brazil has already had a military dictatorship from 1964-1985. I think that the military is currently watching the current situation unfold with decreasing patience. The Brazilian Police – Friend or Foe? Brazil is the most homicidal country on the planet. At least 58,000 people were murdered in 2015, the latest year for which reliable data is available. Remarkably, less than 8% of these deaths ever resulted in the conviction of a perpetrator. The country’s homicide rate has increased over the past two decades, reaching 28.9 per 100,000 in 2015 – roughly four times the global average. This represents a 10.6% increase over the last decade. That means that 1 in every 10 people violently killed around the world each year is Brazilian. Brazil is also home to 25 of the 50 most murderous cities. Indeed, more than one third of all Brazilians have a friend or relative who was violently killed and over half of all Brazilians claim to have been a victim of violence. Effective investigation and prosecution of crimes was very low: 390 of 12,032 homicide investigations (3.24%) were completed by Civil Police and referred to the Public Prosecution Department. Brazil’s police are notoriously violent. According to the Brazilian Public Security Forum, a network of leading crime researchers, at least 3,345 people were killed by police in 2015 – an increase of 6% on the previous year. Brazilian police killed more people every seven days than UK police have killed in 26 years. The number of killings at the hand of the police is three times more per year than the US which has a population that is 55 percent larger. Brazil’s police have long faced accusations of abuse and excessive use of force, especially in connection to misreporting the extrajudicial killing of civilians as acts of self-defense. According to a 2009 report by Human Rights Watch, in 2008 Rio de Janeiro police killed one person for every 23 arrests, compared to the United States, where one person is killed for every 37,000 arrests. Police corruption and extortion is common across Brazil. politicians, police and criminal organizations frequently adopt strategic alliances. There is widespread fear of police – particularly state military and civil police, but also to a lesser extent federal road police – in Brazil. There is a sensation that they cannot be trusted and that there are often in alliance with paramilitary – what are referred to in Brazil as “militia” – groups. Police are widely viewed as “corrupt” in public surveys. Another lesser known group involved in perpetrating violence and extortion are the militia or paramilitary groups. These groups originally emerged in selected favelas as informal “security patrols” ostensibly to protect residents from factions. These militia groups have combined active-duty and retired police, firefighters and prison guards who offered security services in return for payment. The militia have long adopted a range of strategies to “protect” communities in key state and metropolitan region. Unlike drug factions that establish territorial control to protect a single activity, militia extract rents from community residents in exchange for protection, but also illegally pirate and tax basic public and private services such as gas, cable TV, energy access, and informal transport. Like organized crime groups, the militia prey on low-income neighborhoods and have interests in protecting their turf, as well as intimidating and attacking competitors where necessary. Black Lives Matter- The Brazilian Version. Brazilian and non-Brazilian academics conclude that the idea of racial democracy in Brazil is a myth. Brazilians come in every shade of the color spectrum. The south of Brazil was largely settled by white Europeans whereas African slaves were brought to the Northeast of Brazil. Over 6 million African slaves were forced to migrate to Brazil during Portuguese colonization; some estimates are as high as 9 million. Slavery in Brazil did not end until 1899 and it was the last country in the world to abolish it. The legacy of slavery is key to economic poverty for darker-skinned Brazilian’s whose access to education and upward mobility is severely restricted. Crime is increasing against Afro-Brazilians, with violent crimes against rising by 40%. The UN Report of the Special Rapporteur on Extrajudicial, Summary or Arbitrary Executions states that citizens fear the police as much as they fear violence from drug-trafficking criminals. In addition, complaints to police are rare, precisely because they are often participants in illegal usury rings (agiotas) and the agents of death through assassinations of debtors seeking a way to meet a standard of living that allows them to support their families. In 2015-16, Amnesty International reported that, “Serious human rights violations continued to be reported, including killings by police and torture and other ill-treatment of detainees. People of darker color, particularly young black men from shanty towns continue to be marginalized and at greater risk to violence by police. According to the Amnesty International Country Report high rates of homicides among black youth remain a major concern in terms of both civil and human rights. The immediate and near term prospects for Brazil are bleak. The country has had their worst recession in history. The violence and corruption within the country are completely out of control. Many Brazilians favor the return of the Military Dictatorship which brought about less violence and more stability. However, military dictatorship is unlikely. Brazilians wonder if the Lava Jato corruption investigation is a change in political culture or just an instrument of political change from one party to another. In many respects, the level of corruption at all levels of government presents the government as an organized crime family with the police as a co-conspirator in this scheme. Many policemen are paid bribes by organized crime and drug traffickers to look the other way or the police serve as the enforcement tool for criminals. The Brazilian government is unable and unwilling to protect its citizens and in many cases it is unlikely that relocation within Brazil can provide a layer of protection. A poor Afro-Brazilian relocation without the benefit of a family network can find himself in a Favela appearing as a police informant to drug traffickers while at the same time while evading past extra judicial persecution by the police themselves. The crime and violence in Brazil oddly does not have the news coverage and attention on the world stage that other Latin countries have or have had. The country is isolated from the United States. Perhaps, it is the language. Almost, nobody in the United States speaks Portuguese whereas the U.S. has plenty of Hispanics and gringoes that speak Spanish now. Brazilians in the United States have largely been under the belief that the Immigration Courts or the Asylum Office of USCIS will not grant Brazilians political asylum. However, reality suggests other possible outcomes for a country that has had more people murdered in the last five years than all of the civilian casualties in the Syrian Civil War. Hopefully, this article will begin to change the landscape for Brazilians pursuing the political asylum process and common perception of Brazil. Gerald Nowotny is a tax and estate planning attorney specializing in tax reduction and deferral techniques for business owners and trial attorneys. Amazing article that describe the real life in Brazil. I`m Brazilian guy, and i living in the United States with my wife, we came here about 1 month ago, and we don`t want back to Brazil anymore, just to visit!! !